"Chalet Helene" is in the quiet area of Prili Droit, in Mayens de Chamoson, about 4km from Ovronnaz. 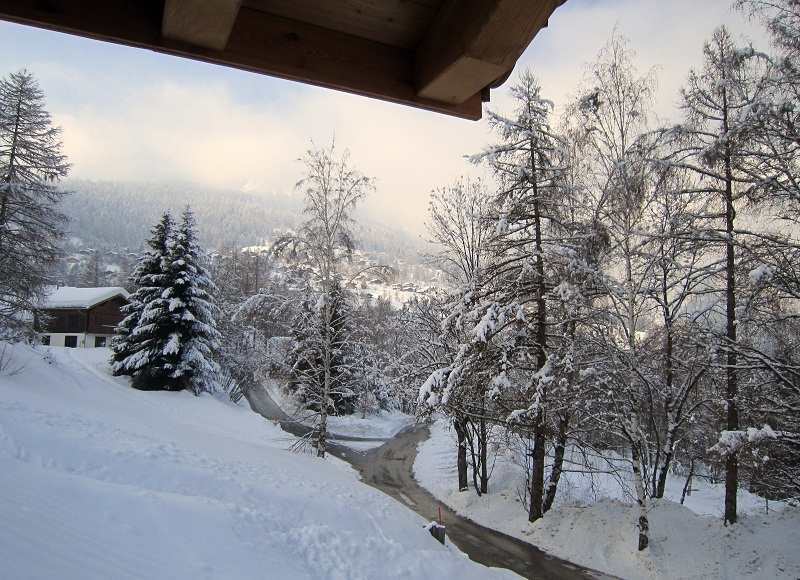 The chalet is in a sunny, east facing position, in a quiet cul-de-sac, at an altitude of 1,200 metres. Motor access to 8 metres from the house. Please note in the Winter, snow chains should be carried in your car. Parking available for two cars. Stepped path (20 steps) to the chalet. Nearby: Grocers 4 km, restaurant 700 m, bakers 3.8 km, café 700 m, internet café 5 km, bus stop 300 m, thermal baths 5 km. Golf course (18 hole) 26 km, tennis 2.7 km, skisport facilities 4.5 km, ski runs 4.5 km, ski bus stop 700 m, ski school 3.8 km, ski-kindergarten 3.8 km. Please note: car essential. Ski Bus to Lift during winter season (free of charge). Not much sun in January / February due to proximity of the mountains.